ProvectaPOS is retail and restaurant POS software with inventory management, customer loyalty and reporting system that works on any device and platform. Users can create a functional online shop in a few minutes, and manage and grow their retail and restaurant business in the cloud. ProvectaPOS enables users to add, edit or delete goods, include images and descriptions in various languages, as well as add options to products. Users can manage receiving and expenditure papers of various types, including printable forms of receipt and delivery records to help with accounting. Users can check the leftover stock in full or on selected items at any time. The simple designer allows users to create their own forms for price labels, labels and POS-printers. 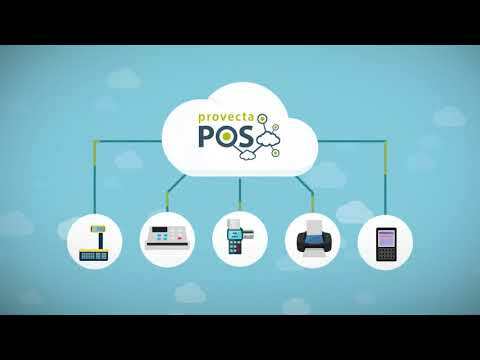 Businesses can integrate the ProvectaPOS system with a wide range of equipment required for the work of a point of sale such as cash registers, weighing scales, label printers, customer displays, and more. Users get a full history and detailed information about all customers regardless of the sales channel (cash register or online shop), and are able to manage and set up a discount system with different discount schemes. Additional features include monitoring, stock control, detailed reports on products and goods, sales reports, templates and filters, and more. There are currently no reviews of ProvectaPOS. ProvectaPOS's in-browser cash register allows users to manage sales in the cloud, regardless of the type of operating system. Get a full history and detailed information about all customers regardless of the sales channel (cash register or online shop). ProvectaPOS enables integration with weighing scales, label printers, customer displays, and any various other types of equipment. The cash register works offline, and all information is synchronized and updated once connection to the internet is recovered. Keep a database of various types of products with various sizes, colors, and more, and search and filter through products in an instant. Below are some frequently asked questions for ProvectaPOS. Q. What type of pricing plans does ProvectaPOS offer? Q. Who are the typical users of ProvectaPOS? Q. What languages does ProvectaPOS support? Q. Does ProvectaPOS support mobile devices? Q. Does ProvectaPOS offer an API? No, ProvectaPOS does not have an API available. Q. What other apps does ProvectaPOS integrate with? Q. What level of support does ProvectaPOS offer?